I’m dreaming of a white isthmus. You know the kind, where you lay out that picnic before wading knee-deep in a lucid lagoon, bathwater warm. No high-rises, no cars…no worries. 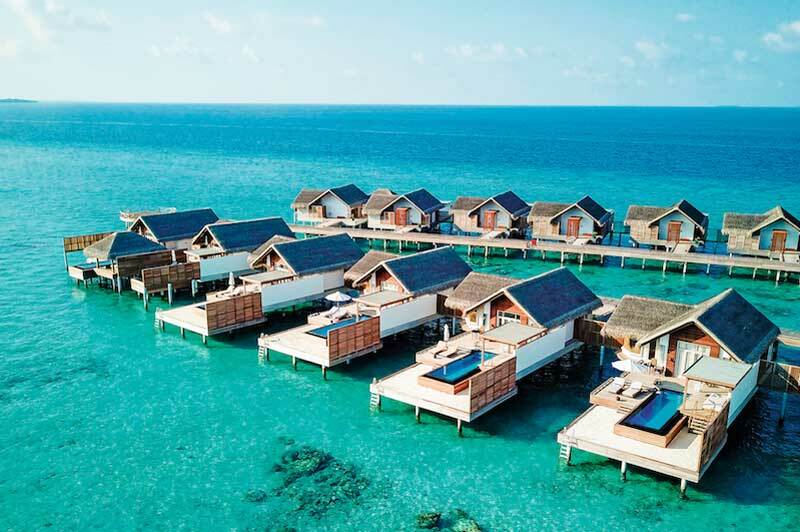 Few places on the planet do this as well as the Maldives—that garland of 26 glittering atolls home to almost 1,200 islands. 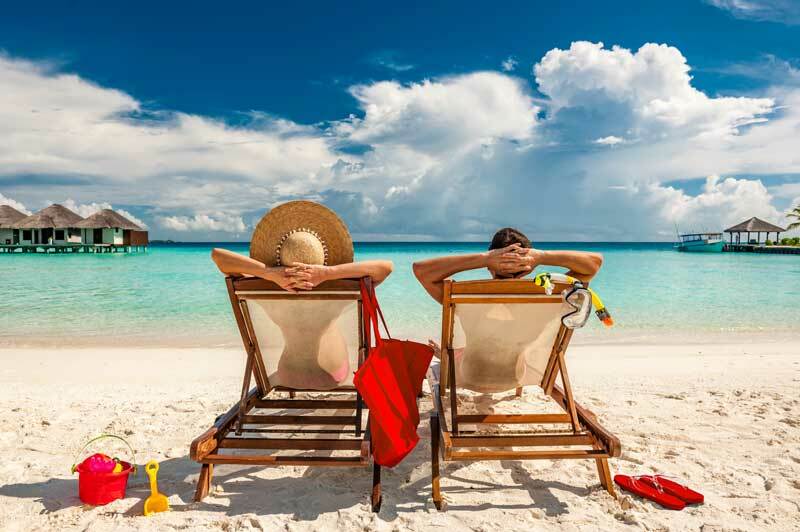 Basking in the Indian Ocean, it’s a dream destination that features on many a traveller’s bucket list, with its palette of pastel blues painting the social media filters across millions of screens. 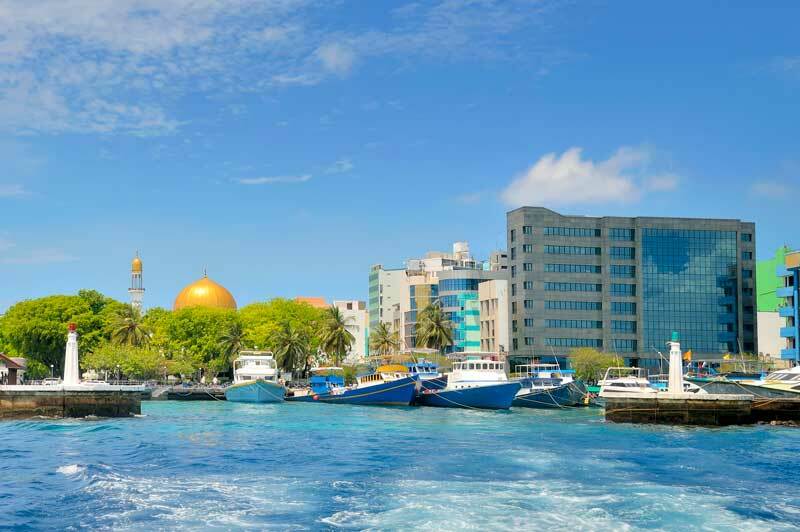 Male, the capital of the Republic of Maldives, is one of the world’s most densely populated patches of land. On less than six square kilometres, more than 156,000 islanders go about their daily life. Cultural and historical sites are found throughout the city. The 17th-century Hukuru Miskiiy (Old Friday Mosque), constructed with coral walls, features an intricately carved wooden ceiling. It comes decorated with Arabic calligraphy, and stands amid coral tombs of past sultans. Traditionally, Maldivians are skilled craftspeople. 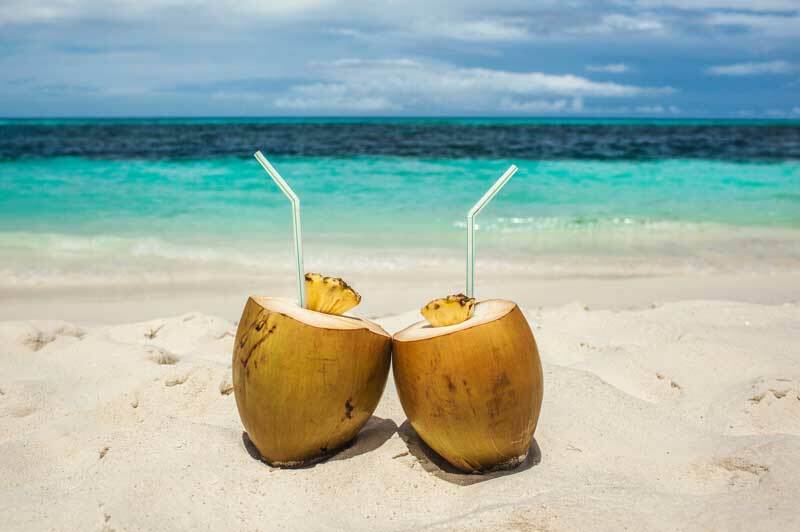 They expertly fashion and utilise practical wares such as reed and coir-weaved mats, and coconut shells used for collecting tree sap to make the popular toddy drink. And Maldivians are a welcoming bunch. Bond over a cooking demonstration, or take part in a woodcarving or lacquer-painting class. 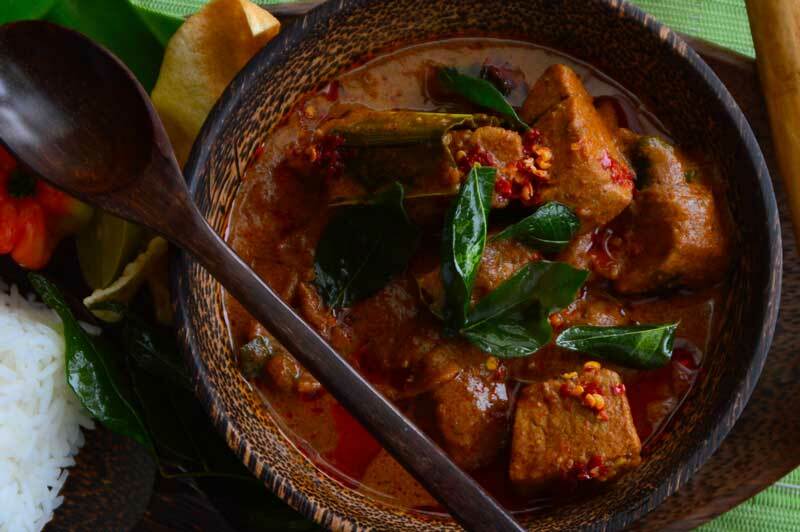 When hunger hits, try one of the dishes created from the nation’s favourite fish, such as the marinated dhon riha (tuna curry), a bowl of garudhiya (tuna soup) or the fried samosa-like tuna-filled bajiya. Across the islands, coconuts, papayas, melons, bananas, sweet potatoes and breadfruit provide farmers with agricultural income. Fishing, boatbuilding, and increasingly, tourism, generate the rest. From north to south, there’s an 820 kilometre-long ribbon of archipelagos to explore, easily reached by seaplane. Along the shimmering shores are many an overwater villa and beach bure exuding escapism and privacy. Snooze from a private sala, splayed across your daybed. Then slip into an aquamarine lagoon from the steps of your heaven-on-stilts. Wallow, and lose yourself in the view towards the high-res horizon. You might spot the arced prow of a traditional timber dhoni boat with its roof thatched from palm fronds. Maybe it’ll be a fisherman returning with his night’s catch, being followed by a pod of opportunistic dolphins. 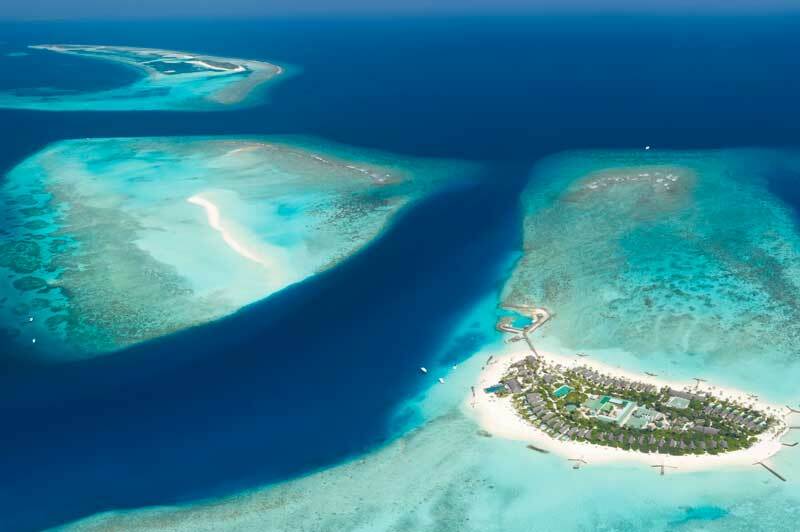 With 99% of the country comprising of water, the Maldives are a premier water sports destination, offering everything from wakeboarding to kitesurfing, kayaking to glass-bottom boating, and parasailing to coral-planting. And of course—that world-class diving and snorkelling. The Protected Marine Area of South Ari Atoll is prime plankton territory. Here, between May and September, prepare to be dwarfed by the gentle giants of the ocean—whale sharks. You’re also likely to drift within a fin’s reach of a manta ray. Hungry wrasse feast on their parasitical critters at the busy cleaning station here. 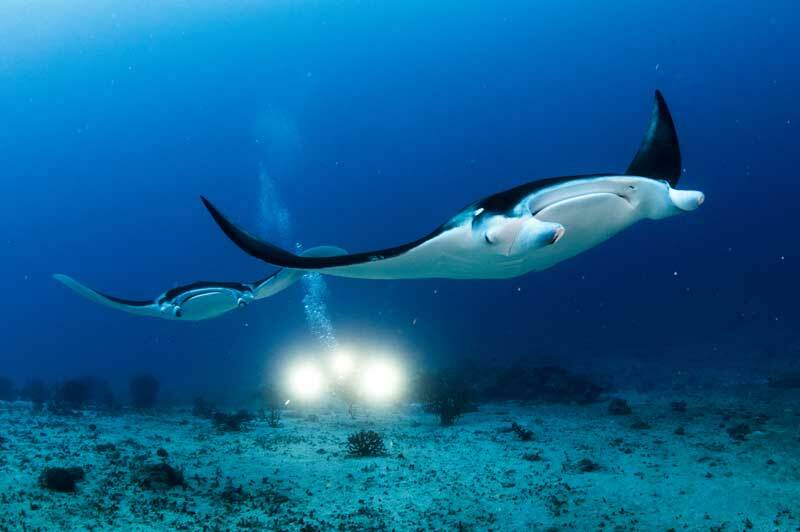 Notably, the Maldives has the world’s largest population of reef manta rays—up to 10,000—according to studies conducted by the Maldivian Manta Ray Project. North Ari Atoll, is where devout divers head. The steep drop-offs attract grey-tip reef sharks, predatory barracuda and hefty napoleon wrasse. 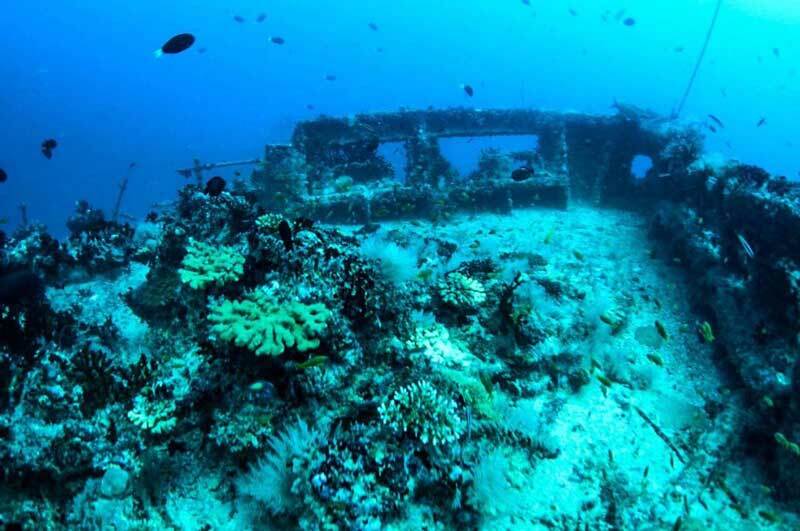 And south of Male airport, experienced wreck divers can enter the wheelhouse of the sunken cargo ship: Maldive Victory. 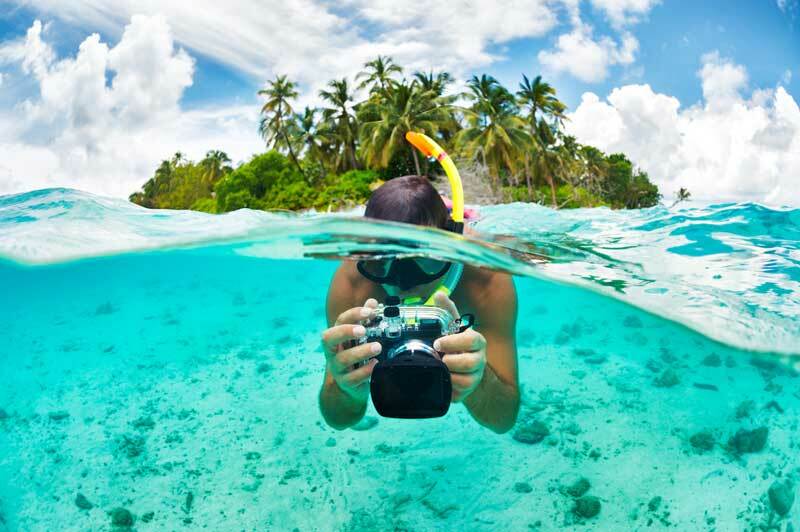 The shallower northern atolls are where visitors reach snorkelling heaven. 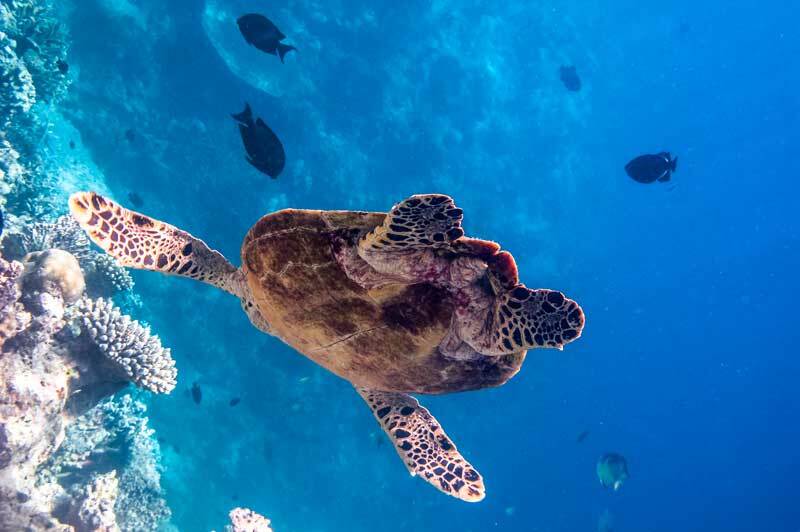 In the waters just off the recently opened Fairmont Maldives Sirru Fen Fushi, on Shaviyani Atoll, green sea turtles begin their navigation of the planet. The hotel enjoys prime views of the sands from which they hatch. And sharing the balmy waters with them are napoleon wrasse with their frowning foreheads, trumpet fish and striped triggerfish. And regularly seen are pods of friendly dolphins. Prepare to become almost nose-to-snout with these inquisitive creatures. The Maldives: it’s a living and breathing world of wonders. 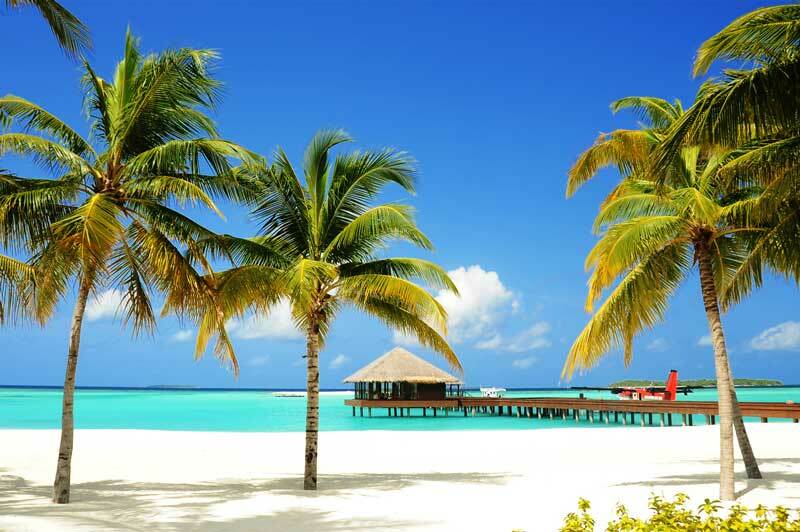 Talk to a Travel Associates adviser about booking your own escape to the stunning Maldives. It's time for a break.